An accident isn’t always unavoidable. In fact, it is rare when there is an unavoidable car accident, usually the cause is negligence. Perhaps the driver who hits you failed to notice the stop sign or maybe they were speeding. In many cases, drivers who are responsible for an accident were driving distracted or even under the influence of drugs or alcohol. They could’ve failed to use their turn signal or been following too closely behind another driver. In other words, an unavoidable accident isn’t very common. But they do sometimes occur. In these examples, the driver was not driving recklessly or carelessly and that is the key to proving an unavoidable accident. In order to prove an unavoidable accident, the event must have been completely unforeseen by humans or completely unpredictable. In an accident, it is important to know that the defendant is innocent unless you can prove fault. If a lawyer can clearly establish that the accident occurred through no fault of the defendant’s, then they may not be found liable for the damages and for the accident. Consider this scenario. The weather forecasted a severe snow storm with ice. A driver skids on the black ice and into another driver. In this situation, the accident would not be unforseen since weather experts predicted it and warned of the safety issues. The driver would be negligent. In a separate scenario, a driver has a heart attack and loses control of their vehicle. If the driver’s medical history showed no signs of this occurring, then the driver may not be found guilty of negligence and the inevitable defense may succeed. While an inevitable car accident is rare, it can occur. However, even when they do occur, it is important to know that these types of cases are unlikely to ever see a courtroom. In fact, the majority of all personal injury cases are settled out of court. If you are injured in a car accident, there are steps you can take to protect your rights to compensation. It is important to know that many of these steps are crucial to helping your attorney establish negligence. Call 911 – if you are able, call 911 so that the police and emergency medical teams arrive on the scene. A police report is an invaluable tool to establishing negligence. In addition, receiving prompt medical treatment is critical to recovering from your injuries. Collect Evidence – gathering evidence is important to establishing liability and proving your case. Take pictures of your vehicle, the accident scene, and any other important details. Get the names and numbers of any eye witnesses. Don’t Agree to a Settlement – while you may want to believe that your insurance company has your best interest in mind, they do not. As such, they will offer accident victims a lowball settlement offer, usually quickly. They do this to pressure you into taking far less than you need to recover. If you or someone you love has been injured in a car accident, it is important to know that the law is truly on your side. 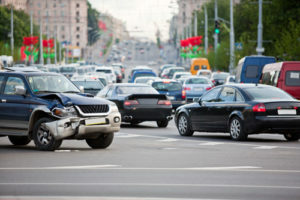 With the help of an experienced Colorado Springs car accident attorney, you can obtain the money you need to recover. Contact the experienced Colorado Springs car accident attorneys at the Green Law Firm today to schedule a no-obligation consultation and discuss your case. Call us today at 1-719-694-8515. By webadmin|2017-12-19T23:40:32+00:00December 26th, 2017|Blog, Colorado Springs Car Accident Law Firm|Comments Off on Unavoidable Car Accident or Negligence?